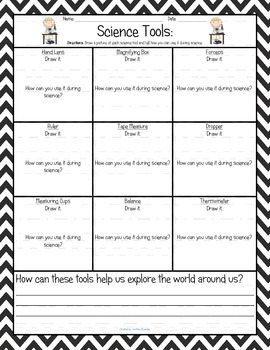 This worksheet has students draw a picture of the science tools learned and tell how each tool can be used in science. This worksheet can be used in many different ways. Students can use this to take notes as you teach different science tools, students can complete in a science center, or as an assessment.